Shops and restaurants actually close in Luxembourg. I will miss that. Shops close at 8 during the week and 6 on Saturday. On Sunday all stores are closed, with the exception of a few grocery stores that open until 1:00. It is so humane, so respectful of time. 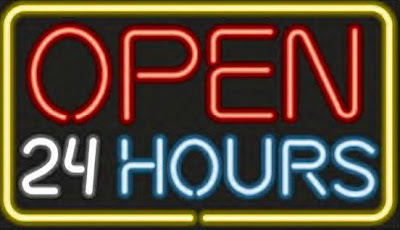 There isn't any "Open 24 hours a day" craziness that exists in the States. No one really needs a Big Mac at midnight. We would all survive just fine without a 24 hour grocery store. Shopping on Sunday? There are better things to do! America offers us too much time to buy stuff we don't need and eat things we don't need. I am in full support of the environmental controls of shop hours. Sundays are quiet in Lux. Sure we all complained about it at first but then we adjusted and then we started relaxing on Sundays. It was nice. I will miss that. I really like that you like this about luxembourg. My international students and some american friends complain the shops shut here so early 5pm for business/clothing stores 9pm for grocery's. I totally agree with all your points (except for maybe people who work odd hours) the rest of us do not NEED TO SHOP 24/7 and makes us become nonstop consumerists. We used to have no trading on sundays in Australia but it changed about 7 years ago. anyway very thoughtful take on it. I've also thought that as people are often desperate for money there is always someone who will work the late hours/weekends or be forced to work, but really what we all need is more time with family and having stores close will give you that small amount of time for Everyone to be able to take some time out. Utah is the last place where this is still the norm for the most part. Gotta love the Latter-day Saints' commitment to family time. I imagine leaving is bitter sweet. I'm enjoying your addi Luxembourg posts like I enjoyed your little differences posts. I hope you have a smooth move home.